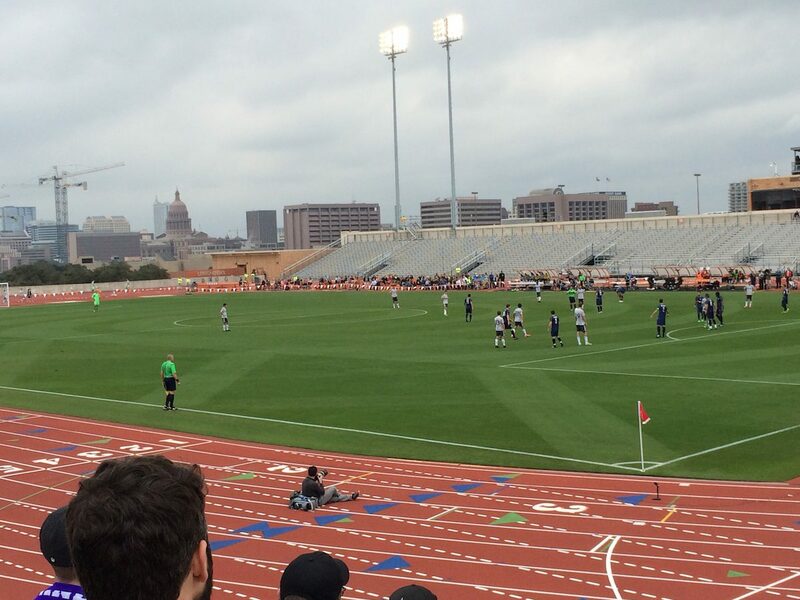 MLS to ATX #5: How Might The University of Texas Influence MLS in Austin? The most useless comment you will likely hear in this whole MLS discussion is that Austin is the largest metropolitan area in the country without a major league sports team. First of all, it’s wrong. The Riverside-San Bernardino metropolitan area in California is more than double the size of Austin and has no professional team. Secondly, and more important, to say something like that ignores the magnitude and influence of the University of Texas in Austin. And you can’t ignore the University of Texas. The Darrell K Royal–Texas Memorial Stadium in Austin is the 9th largest sports stadium in the world. Yes, in the world. It is bigger than Wembley. It is bigger than the Camp Nou. It is way bigger than Jerry World in Dallas. The University of Texas Football team is professional in every aspect except one – they don’t pay their athletes. But that just makes the franchise more profitable. In 2015, when the UT football team posted a mediocre 5-7 record, Forbes Magazine reported that the team still generated $92 million in profit. To put that in perspective, that is more than most NFL teams made in 2015. According to Forbes, that is more profit than all but 1 NBA team made in the same year. And that is more profit than every single professional baseball team made last year. If there is one reason that there has never been a professional sports team in Austin, that reason is the University of Texas. Now, that doesn’t mean that there isn’t room for a MLS team in Austin. It just means that you can’t ignore the University of Texas. If UT wants a professional soccer team in Austin, then it might happen. If UT is ambivalent about a professional sports team in Austin, then it might happen. But if UT don’t want a professional sports team in Austin, then it’s not going to happen. Here are my thoughts on whether UT might support or oppose an MLS team in Austin. Any way you look at it, a professional soccer team in Austin would be competition for UT. It doesn’t matter that the MLS season is mostly played in the summer. Any other sports team in town would be competing year round with UT for sponsors, for media air time, for t-shirt sales, for identity. And UT is more than just a football team. 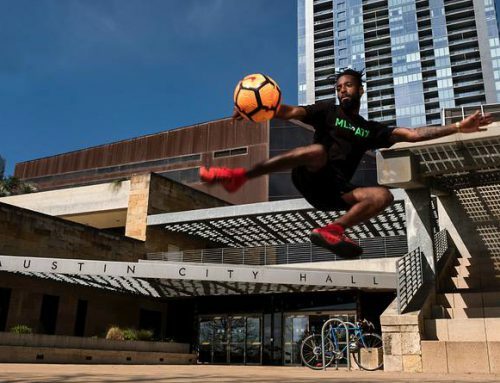 A professional soccer team would compete with UT to take students and supporters away from watching athletics, basketball, soccer, baseball, volleyball, swimming, or from participating in intra-mural sports. Anyone that has ever been to Austin knows that the Longhorn logo is everywhere, that the burnt orange color is everywhere, and that the hook-em horns hand gesture is everywhere. UT currently has 100% share of a growing market. Why would it want to give up any of that? 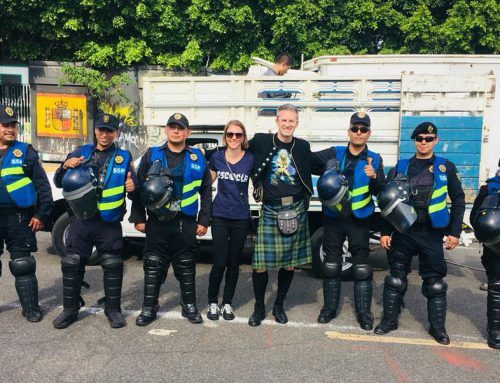 Just last year, it was widely rumored that the organizers of the International Champions Cup were trying to sound out Austin, and specifically DKR Stadium, as a location for the first ever Manchester derby outside of the UK. Despite the fixture being proposed in July, a time when most students are on vacation, UT decided against hosting the game due to “scheduling conflicts“. That game would likely have brought out upwards of 80,000 fans to a soccer game in Austin. It could have generated a lot of interest in professional soccer in Austin and brought in a huge chunk of change for UT. But UT wasn’t interested. In 2015, the Austin Aztex did come to an arrangement with the University of Texas to hold a pre-season tournament at the UT Mike A. Myers Stadium featuring the Aztex, FC Dallas, D.C. United, and their new affiliate the Columbus Crew. But the use of that stadium didn’t come cheaply. 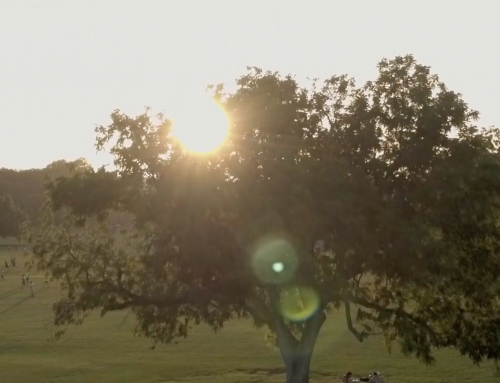 When the Aztex ceased operations at the end of that season, most people blamed the flood of House Park, but the pre-season financial hole created by those tournament costs was arguably a bigger factor. I went to both days of that tournament too. It was the first and only time I’ve ever been to Myers Stadium, and it’s not even a very nice stadium. As you can see in the picture above, the field is surrounded by a running track, and there are no seats at all at one end. It has a nice view of downtown, but it’s not great for watching soccer. Despite that, it has been touted as a temporary home for this new MLS team. For that to happen, UT would have to completely reorganize it’s own soccer and athletics schedule. If they can’t be bothered to move things around for one game in July, what reason is there to think they would accommodate a new team for several years? What has UT said about MLS? When the news first broke that PSV, the owner of the Columbus Crew, was considering a move to Austin, it was reported that PSV had already struck a deal with UT for the new team to play their home games at the Myers Stadium while a new stadium was built. Precourt later stated that such reports were “premature“. As far as we know, there is no agreement. In October, University of Texas athletic director Mike Perrin indicated his school might be willing to work with an MLS team. 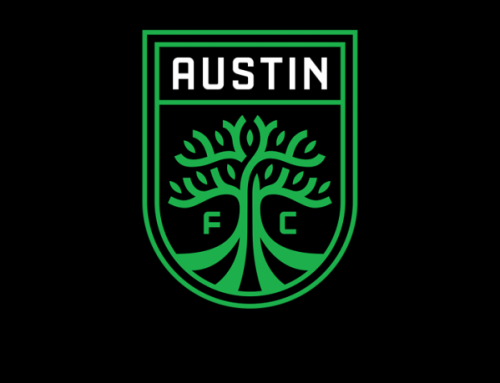 “We are aware of MLS interest in Austin and have no opposition to exploring possible collaborative opportunities,” Perrin told the Austin American Statesman. However, in December, a new athletic director was appointed. At his introductory press conference, Chris Del Conte talked about how his job was “to support coaches and student-athletes in their endeavors to win championships, period”. He said nothing about helping out an MLS team and why would he? His duty is going to be to do what’s best for the University of Texas. Genuinely, I’m struggling to think of any reason why the University of Texas would welcome an MLS team in Austin. At best, it might publicly have “no opposition”, but that’s a long way from being supportive. My point being, that the the fact that Suttle’s various representations are not a conflict of interest suggests that maybe, just maybe, the University of Texas and Major League Soccer could work together. What if UT doesn’t support MLS in Austin? A lot of the current focus on the MLS move to Austin has been on where a permanent stadium might be built. Assuming something gets approved, realistically a stadium is going to take between four and six years to design and build. If PSV are serious about moving a team to Austin for the start of the 2019 season, they are going to need to find somewhere to play in the meantime. When the owners of the San Jose Earthquakes relocated their franchise to Houston in 2005, the Dynamos played in Robertson Stadium, located on the University of Houston campus. The Dynamos played there for their first six seasons, and it wasn’t until two months into their seventh season that their new stadium was finally ready. It would be nice to think that PSV could work out with a similar arrangement with UT, but so far there is no evidence to suggest that would happen. If UT doesn’t offer up its facilities, then PSV are going to need to find an off-campus solution. Which means that we might end up back at House Park, or Kelly Reeves, or Toney Burger, or COTA, or even a combination of them all. And that means operating at a substantial loss for four, five, maybe six years. 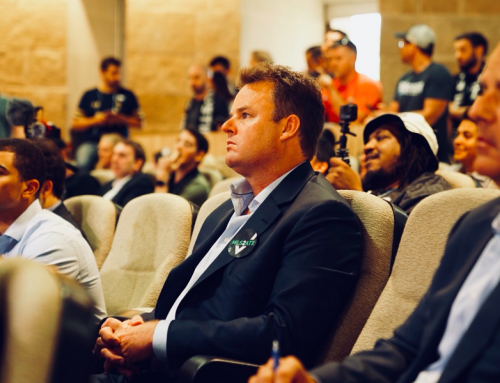 Whether the University of Texas ultimately supports MLS in Austin or not, PSV would be ill-advised to think that Austin is an empty market waiting for a major league sports team. Thanks Dave. Although there would be no direct competition in terms of men’s soccer, I believe there would be competition for sponsors, for media time, for merchandise. They also don’t need the money and even if they did, it would probably be cheaper for PSV to build their own temporary stadium that it would to rent Myers for a few years.